Tell me about Sr.Marie and this Foundation! Please help. Please be generous. Watch this NEW short clip! Sr. Marie, True Daughter of Charity. Learn more about how to offer petitions to God through the intercession of Servant of God, Sr. Marie de Mandat-Grancey in this post. Complete directions for submitting a testimony. Print out this two-sided 8 X 10 Prayer Devotional for your Church. Laminate or frame for display. Why Sister Marie? Why Now? ~ The relevance of Sr. Marie's mission in a post 9/11 world. Polish/Polska: Siostra Marie de Mandat Grancey, D. C.
Parents of Archbishop Giuseppe G. Bernardini, OFM, Cap. Recall that Arch. Bernardini is the one to give the Imprimatur to the Prayer for Sister Marie's Beatification! Please print and distribute this LETTER and help us collect funds for Sister Marie! Please join us as we work for the cause of Sr. Marie. Print a Petition, get it filled and send it back to us. Need a cover letter? click here Thank you! On this Feast of St. Agnes, in 2011, Sr. Marie was declared SERVANT OF GOD. Please pray to St. Agnes to help Sr. Marie de Mandat-Grancey join her as proclaimed SAINT, in the Name of Jesus, AMEN! Enjoy this article below about a visit to Mary's House. It was through Servant of God, Sr. Marie de Mandat-Grancey, Foundress of Mary's House in Ephesus, that the Priests mentioned in the article found Mary's House! Today we commemorate the Solemnity of Mary, Mother of God, the title established at the council of Ephesus in 431 AD. Theotokos. Let us unite in prayers of thanksgiving to God for Servant of God, Sr. Marie de Mandat-Grancey who valiantly and generously invested all her heart and effort into finding and preserving Mary's House in Ephesus, Turkey. It is in the safety of this little home where Mary, Mother of God did live out her final days after the death and resurrection of Jesus Christ, Our Lord. So much to beg of the Father today through the intercession of Mary as we begin 2019. Dearest Sr. Marie, please pray for us. Amen. Dear friends we are so pleased to announce that EWTN's show The Miracle Hunter will be airing a program on the life of Sister Marie entitled The Journey of Sister Marie de Mandat-Grancey on April 27th, 2017 6:30 PM EST. Mary's House in Ephesus, Turkey: Interfaith Pilgrimage in the Age of Mass Tourism by Amelia Gallagher Ph.D. Please enjoy this Relevant Radio interview with Erin Von Uffel from the "MiracleHunter Show." May God bring many new friends to Sr. Marie through this hearing! May Sr. Marie's mission be realized! Let's pray for this! Amen. 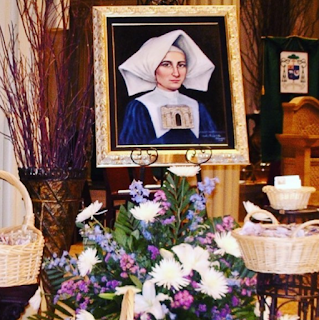 Please visit this link to enjoy a radio interview of Erin Von Uffel from Ash Wednesday on the life of Servant of God, Sister Marie de Mandat-Grancey conducted by Ken Johnston for the program What the World Needs Now on the In His Sign network. On the Feast of the Epiphany, it is with great fondness that I remember Fr. Carl Schulte for a very precious gift and memory he has given us all. The original title for his book on the life of Sister Marie was A Guiding Star! Fr. Schulte, Erin and I exchanged hundreds of emails with the subject line AGS (A Guiding Star) as we assisted him in 2009 beginning around the Feast of the Annunciation until Christmas of that year as he finished up his book. Nine months. Then the birth of the book. Then on the Feast of the Epiphany the book was revealed to some very special people in the Church who all had marvelous things to say, much of which you find on the book jacket. Timing is everything. Blessed 2016. Servant of God Sr. Marie de Mandat-Grancey, please pray for us. Beckon all God's children to spiritually enter Mary's House in this new year to find Mary, Mother of God, Queen of Peace, and our Mother by God's grace. Mary, who desires to draw all souls to her Son, Jesus Christ, King of Kings, Lord of Lords, Prince of Peace. Please enjoy this article on the finding of Mary's House. The Tallest Statue of Mary in Turkey? "Cemil Seboy, candidate of the Party for Justice and Development (AKP) in the region of Izmir (Smyrna, Turkey) stated that, if he was elected in the legislative elections of June 7, 2015, he would sponsor, with the Ministry of Culture and Tourism, the project to build in the Selcuk district the largest statue in the world dedicated to the Blessed Virgin Mary. In statements to the local press, the candidate presented the idea as an attempt to enhance the touristic appeal of the area that is also known for the ruins of ancient Ephesus and the site of Meriem Ana Evi, the "House of the Virgin Mary", discovered in 1891 through the private revelations of the mystic Anne Catherine Emmerich. The parliamentary candidate’s whim was inspired by the giant statue of Christ the Redeemer of Corcovado, overlooking the bay of Rio de Janeiro. The several projects presented by the candidate at meetings with potential voters also included the construction of a cable car for tourists to access the top of the hill on which the statue of Our Lady would be erected." Current statue of the Blessed Virgin Mary Dedicated by The American Society of Ephesus (George B. Quatman Foundation) on the road to the House of the Virgin Mary, Ephesus, Turkey. The 100th Anniversary! May 31st. As we approach May 31st, the 100th Anniversary of the day our dear Servant of God, Sister Marie de Mandat-Grancey left this world to be with God, please join us as we honor her memory. Below please find the Allocution pronounced at the Funeral of Sister Marie by Archbishop Zucchetti. Please thank God for Sister Marie, without whom we would not have the little piece of heaven on earth called Mary's House. At every apparition site The Blessed Mother comes to us. At Mary's House we go to her. She invites us into her home and heart; she welcomes us and being the perfect Mother she tends to us in the most perfect way. Sister Marie responded with a generous heart to God's call and because of her we now can visit this tiny jewel of the Church, a haven of peace in the world, where both Muslims and Christians pray side by side in peace as they honor Mary. Truly a cause for hope and joy. Thank you Sister Marie. Please pray for us. In His adorable provisions, it so pleases God to take from us, one after the other, those souls most dear to our love and our veneration. 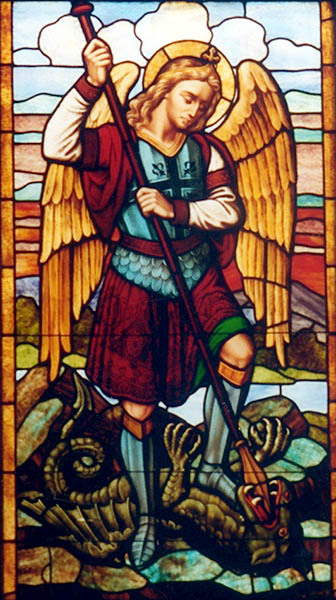 It is only a filial complaint directed to His fatherly kindness, by us, who are so saddened by the departure from this world of so many people, whose presence in our midst was a token of His blessings, an appeal to His love and a comforting example of supernatural life. These departures, for some time now, are succeeding one another quickly in Smyrna: man and women servants of God, priests, as well as religious, are saying “goodbye” to us after such a great and long service rendered to the Church, to young people, as well as to the ministry of souls and to suffering humanity. Today, it is the turn of the one that, by your tears, you would like to make live again, in order to see her again in her capacity as the superior of the French Hospital, of her school and of her model sewing workshop – active, energetic, generous, giving of herself and not sparing herself to help everybody, but especially the indigent and the miserable. An abundantly provided soul with natural and supernatural talents, combining with the nobility of a great French family, the enthusiasm and resources of an inexhaustible heart, the admirable Sister Adele Louise Marie de Mandat-Grancey, during a stay in Smyrna that lasted 30 years, has been among us the type of strong woman depicted in Scripture, the true daughter of charity, providence of the poor, consolation of the afflicted, support of socially outcast and uncomplaining poor families, refuge and savior of young people exposed to worldly danger and seductions. May Sr. Marie be with Beatrice Alverde who passed away on December 29, 2014, and also minister to her family and friends at this time. Her beloved daughter, Anuca Alverde, has requested (in lieu of flowers) that donations be made to the Sr. Marie de Mandat-Grancey Foundation, P.O. Box 275, Cold Spring Harbor, NY 11724. Eternal rest grant unto her O Lord, and may perpetual light shine upon her. May Beatrice's soul, and the souls of all the faithfully departed, through the mercy of God, rest in peace. Amen. Mini Bio of Sr. Marie by Carl Schutle, C.M. Sr. Marie de Mandat-Grancey, D.C. Sister Marie de Mandat-Grancey, Daughter of Charity of St. Vincent de Paul, was born of a noble and holy family in the Diocese of Dijon, France on September 13, 1839. She desired from a young age to serve God with all her heart and answered her vocation. (Postulant, May 27, 1857, First Vows, September 27, 1862.) At the end of her second assignment in France she was inspired to find the House of Mary in Ephesus, Turkey. At that time Pope Leo XIII requested missionary assistance in Asia Minor. Sister Marie responded. In 1886 she served as the French Naval Hospital in Smyrna, Turkey, and was appointed Superior in 1890. While in Smyrna she encouraged as expedition to find the House of Mary, Mother of Jesus, headed by Vincentian Priests. On July 29, 1891, Mary’s House, built by St. John the Apostle, was discovered. Archaeologists identified the ruins of a 1st century A.D. house with a Church from the 4th century A.D. having been built over it. On October 21, 1891, Sister Marie received permission from Fr. Fiat (Superior of the Vincentians) to purchase the property in her name which occurred on November 15, 1892. Sister Marie restored the House making it a place of pilgrimage for all people, especially Christians and Muslims. During restoration, three stones from the hearth, built by the Apostles, were found. One of these stones (cornerstone) was given to the de Mandat-Grancey Family Chapel in France to confirm her holy life, work, and devotion to God and the Blessed Virgin Mary, uniquely identifying Sister Marie with this primitive Apostolic community. All of our recent Popes have visited the House: Pope Paul VI on July 26, 1967, Pope John Paul II celebrated Mass November 30, 1979, and Pope Benedict XVI celebrated Mass on November 29, 2006. Sister Marie lived a life of detachment, dedication, virtue, obedience, and charity; she died on May 31, 1915. Her Cause of Beatification was opened on January 21, 2011. The House of Mary by Jerome Vereb, C.P, S.T.D. We encourage all promoters to download, print, copy and bind any articles, booklets, or leaflets found on our website –www.sistermarie.com- for non commercial distribution. Non English speaking promoters may have any article or leaflet faithfully translated into their local language for the purpose of advancing promotion for the opening of the cause for the beatification of Sister Marie.